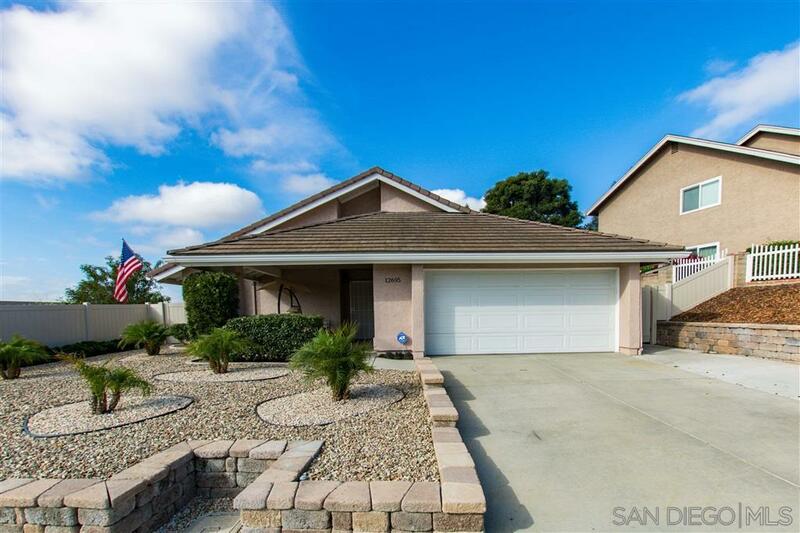 Charming single story home situated in PQ, on a corner lot adjacent to canyon preserve. Great neighborhood--walking distance to school and park! Upon entering this home, you are greeted with a beautiful open floor plan that features vaulted ceilings & tons of natural light throughout! The spacious bedrooms offer plenty of room for sleep, study and storage. The home has a side patio that is ideal for entertaining! Don't miss out, this home is ready & waiting for you!, Upgrades include: New vinyl pro industry grade privacy fencing, exercise room, 4th bedroom add-on (not permitted), attic over the garage with flooring for easy access and storage, workout/entertainment space in garage, built in basketball hoop in backyard.